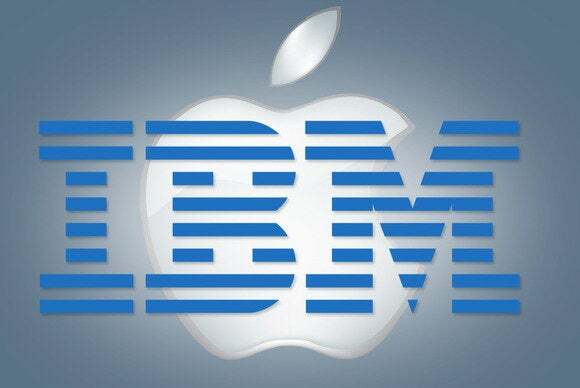 Apple’s partnership with IBM to tackle the mobile enterprise could have lasting ramifications for both companies—as well as for rivals Google, Microsoft and BlackBerry. It could also make life a lot easier for IT staff at large enterprises. Apple and IBM announced an “exclusive” deal on Tuesday in which IBM will build a new line of enterprise-specific apps from the ground up for Apple’s iOS, aimed at companies in retail, health care, transportation and other industries. IBM will create “unique cloud services” for iOS, including tools for security, analytics and device management. It will also resell iPhones and iPads to its corporate customers, and Apple will roll out new support services for businesses. In other words, Apple and IBM are putting a full-court press on the mobile business market. And they’re doing so in a tightly wedded fashion: The companies used the word “exclusive” four times in a statement announcing the deal. That suggests Apple won’t run off and do a similar deal next week with Hewlett-Packard. More significantly, IBM, at least for now, is throwing all its chips in with Apple—apparently at the expense of Google’s Android OS and Microsoft’s Windows Phone. Ginni Rometty, IBM’s chairman, president and CEO, walking with Apple CEO Tim Cook. “We are saying these [apps and services] will be specifically for the iPhone and iPad,” said a spokeswoman for IBM, when asked what’s “exclusive” about the deal. “They are the best mobile devices in the world, from our view,” she said. The deal is significant for several reasons. Apple devices are widely used by businesspeople, but the company has thus far been a “renegade” in the corporate world that slips in the back door with little regard for the needs of IT staff, said analyst Roger Kay of Endpoint Technologies. “If IBM can come in and say, ‘We’ll make sure this Apple stuff works well with the other stuff you’ve got already,’ it will make the IT guy feel a lot better,” he said. They had already been partners to an extent, he said, but until now IBM has had the same access to Apple’s APIs (application programming interfaces) and tools as other vendors did. Tuesday’s deal might give IBM greater access to Apple features like Find My Phone and its remote wipe capabilities, allowing IBM to integrate them with its own mobile management tools, for instance, Kay said. “It helps IBM a lot to have Apple’s blessing, so they’re not standing at the front door like everyone else saying, ‘Please accept our app,’” he said. It’s also a shift for Apple, which until now has shown little concern for how businesses cope with the influx of its devices. “Apple hasn’t come out and said, ‘We don’t give a [damn] about enterprises,’ but that’s basically how they felt,” Kay said. It’s now partnering with a company that bends over backwards to understand the needs of its corporate clients. That gives Apple a valuable distribution channel in the enterprise without having to change greatly how it operates. “What it allows Apple to do is not change its philosophy and lay off to IBM the whole issue of, how do you make iPhones work for IT managers who actually want to be treated like a valued customer,” Kay said. The deal is also notable because it’s unusual for Apple, which is usually a lone wolf, to align itself so closely and publicly with a major partner. 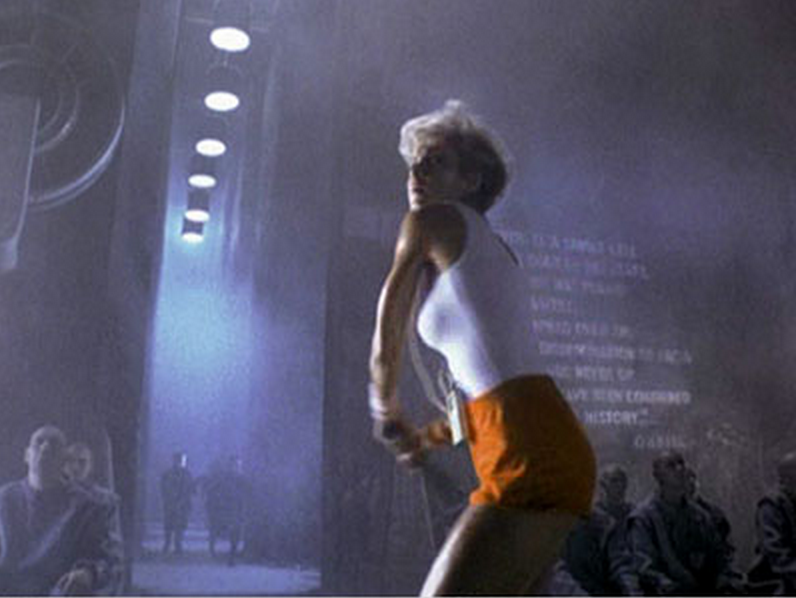 That, in turn, could help IBM shed some of its stuffy corporate image. “Instead of being the black-and-white guys they throw the hammer at, they become part of the winning team,” Kay said, referring to Apple’s “1984” ad depicting IBM as a corporate villain. He said he wasn’t surprised by the deal, which allows IBM’s enterprise software group to expand its client base among customers who need more support for iOS. “IBM has done these types of deals in the past,” he said. Industry analyst Charles King of Pund-IT said the deal will “carry weight” but that it’s hard to tell how much. A lot of companies have already created workaround apps for mobile devices, he said. “Having official IBM support for those 100 [apps] will be attractive to some core IBM constituencies, but it’s hard to say how many will jump to replace what they have now,” King said. “I think for BlackBerry this might be the last straw,” she said.